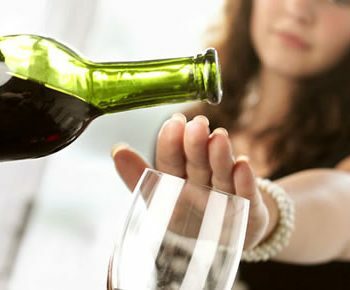 The rate of decline in global alcohol consumption is accelerating, according to the IWSR, with the global market for alcoholic drinks shrinking by 1.3% in 2016, compared with an average rate of 0.3% in the previous five years. The overall global drinks market shrunk by 1.3% in 2016, according to the IWSR. The IWSR noted that this decline was accelerating at a “faster rate than has been previously reported by other data companies”, including Euromonitor, which last month said the rate of decline had actually slowed to -0.2%, from -0.8% the previous year. By category, consumption of still wine dropped by 0.5% in 2016, according to the IWSR, while the sparkling wine market grew 1.8%, driven by Prosecco. Cider declined by -1.5% after years of solid growth, with this reversal blamed on declines in consumption in the South African and particulalry the US, where volumes dropped by 15.2% in 2016 after years of double-digit growth, dragging down the category as a whole. Beer saw the biggest decline, with consumption dropping by 1.8% in 2016, compared with a five-year rate of -0.6%. “The global trend is a reflection of developments in three of beer’s largest markets: China, Brazil and Russia, which all saw steeper declines than in previous years, declining at -4.2%, -5.3% and -7.8% respectively in 2016,” it said. The global consumption of spirits painted a much more positive picture, achieving a slight growth of 0.3%. However vodka was blamed for “dragging down” the overall performance of spirits performance, declining by 4.3% last year. The decline in vodka was counteracted by healthy volume growth within the gin (+3.7%), Tequila (+5.2%) and whisky (+1.7%) categories. Despite overall decline of global alcohol consumption, the IWSR predicts that this trend will reverse in the next five years, forecasting consumption to rise by 0.8% until 2021. This will largely be driven by whisky, which the IWSR predicts will grow in volume to 650m litres by 2021. Global consumption of mixed drinks is expected to increase by more than 400m litres over the next five years, while sparkling wine is likely to add more than 220m litres. The IWSR also expects beer to show strong growth in many Asian and sub-Saharan Africa markets over the next five years.